The Nautilus 5990/1A-001 Stainless Steel Watch is remarkable. The watch displays a stainless steel case with a stainless steel bracelet. Fixed bezel. Black gradated dial with luminous hands and index hour markers. Minute markers around the outer rim. Dial Type: Analog. Date. Two - 60 second and date. 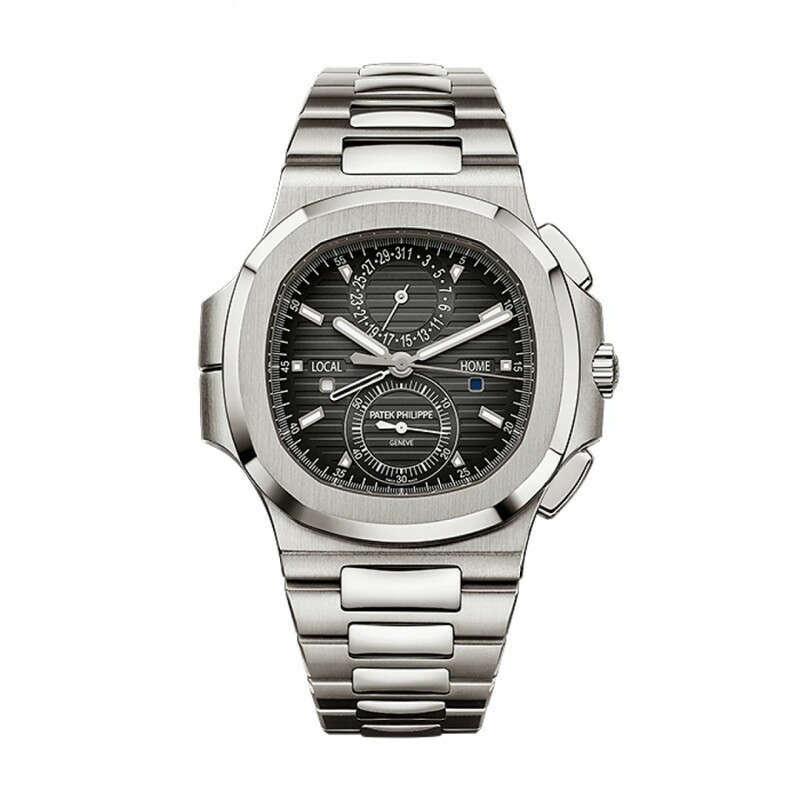 Patek Philippe Calibre CH 28-520 C FUS automatic movement with about 55 hours of power reserve. Scratch resistant sapphire crystal. Screw down crown. Case size: 40.5 mm. Cushion case shape. Water resistant at 120 meters / 400 feet. Functions: chronograph, column wheel, date, second time zone, hour, minute, small second, day/night indicator. The watch also comes with 1 year warranty with Madina Jewelry. 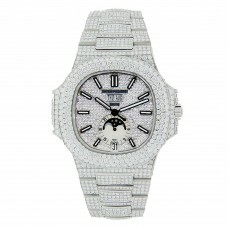 This breathtaking Patek Philippe Nautilus Iced Out Diamond Watch for Men showcases a stainless steel.. 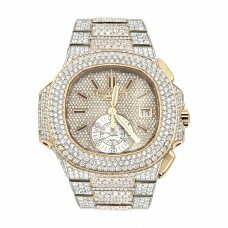 The Patek Philippe Nautilus Watch is breathtaking. The watch has a 40.5 mm stainless steel case, set.. 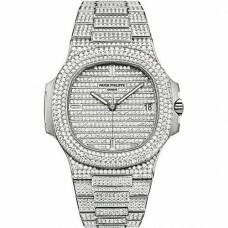 The Patek Philippe 7021/1G-001 Ladies Nautilus Watch is remarkable. The watch is 33.6 mm, has a 18K ..